We made this video a while back, it’s a series of photographs taken at our event at Ryedale Folk Museum turned into a quick video for the web and marked the first real event Lambtons 68th Foot as an active living history group. 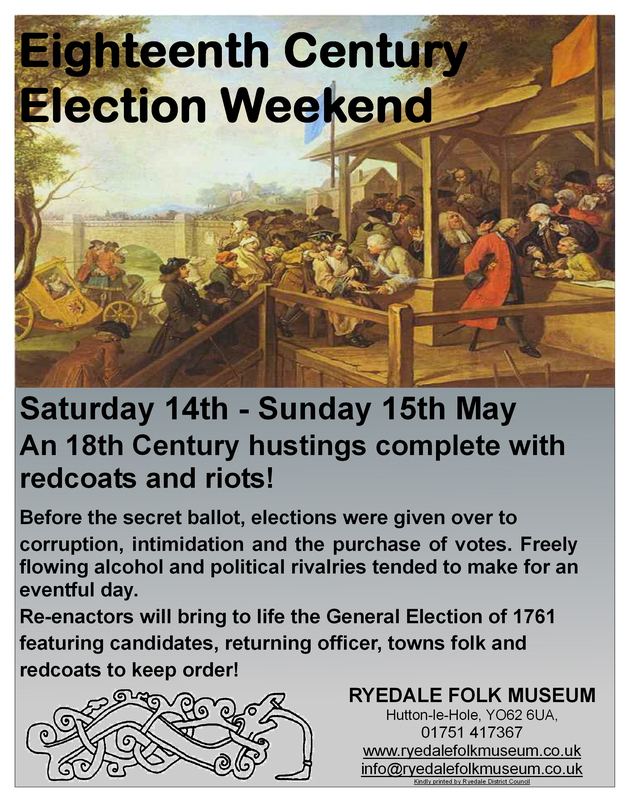 We’re returning to Ryedale on the 14th/15th May this year to re-enact the electric atmosphere of the 1761 election. The 1761 election is an interesting one as it was the first election following the accession of George III to the throne! The poster for our event at Ryedale! Although during the actual election very little changed, the aftermath would be incredibly interesting. The new kings distaste for Pitt the Elder and the Whig control of government would lead to Tory’s increasing importance at court and the end of Whig Rule. The end of 1761 would see Pitt retire from political life (for the moment) and the Kings favourite, Lord Bute, a Scotsman take a promiment role in government. Bute would eventually become defacto prime-minister in 1762. This would be the last time any monarch would be able to use their power to chose the leader of the government. This itself would cause controversary around the freedom of government and Whigs declared George III to be an autocrat.The Kings and Butes policy of an end to intervention in Germany and peace with France would be in direct conflict with those of Pitt and divided opinion in the war weary nation. So it was in the 1762 an unelected Scotsman would end up in charge of the government of the U.K. and deal with the goal of removing British intervention in foreign wars. Sounds familiar doesn’t it!? As promised a gallery of images from our training session at Ryedale Folk Museum has now been added to the 68th Society Website. You can look at the images here. Morier painting from the Royal Collection showing full marching order. 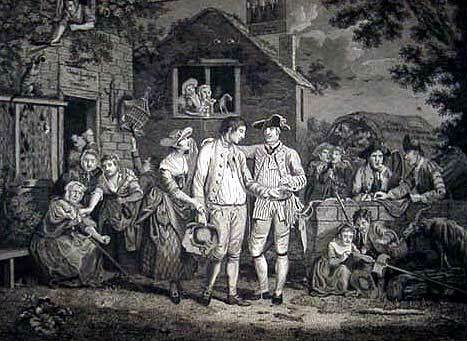 We’ll be returning to Ryedale in May for a 18th century hustings. Information about the event and background history will be added over the next month or so. If you are interested in visiting the event or joining Lambton’s please contact me! It has been a week now since our trip to Ryedale Folk Museum for our succesful drill and living history weekend. Our recruits are now trained in the art of walking and the firelock and ready to face the monsieurs. We’ve attached a couple of pictures from the weekend. We will be returning in May for our May 1761 Election Weekend, which will mirror the vote on proprotional representation this year. We’ll be adding more information about this in coming weeks. In the meantime if you are interesting in joining or seeing Lambton’s in May please contact me for more information. Pull Down the French King! 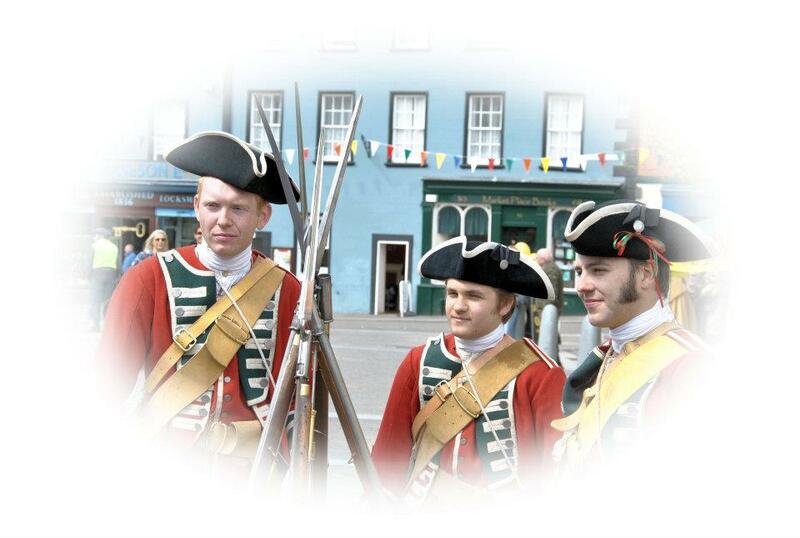 If you have a mind to pull down the French King and are interested in getting involved in re-enactment or learning about the 18th century then we may be for you. We are looking for new recruits to take part in events during the 2011 season. 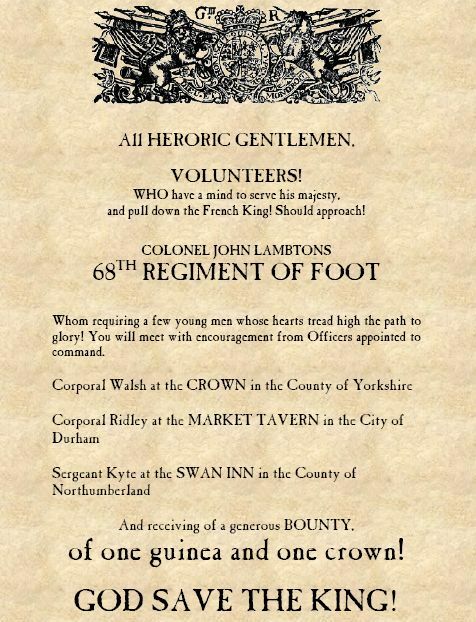 We are organising an 18th Century School for Soldiers at Ryedale Folk Museum in Yorkshire on the 26th/27th February. Accomodation will be in some of the historic buildings on the site. We will have some spare clothing and equipment for prospective new members. More information will be posted on this blog about the event, or for further information contact me!